Anyone know how to fix this Woodmaster motor ? Fellas, Being a proud owner of a Woodmaster 24” sander I was a tad disappointed when the DC motor jammed. OK, I had fed in an oversized piece but knocked off the machine immediately. A metal component ( see photo ) broke and Woodmaster tell me the option is a new motor. Has anyone any idea if this is fixable – or even where they go in the motor. ? I can’t seem to find a place for them but suspect they are connectors of some kind. Got a parts diagram for the machine? Apologies all, that should read model 2675 – Woodmasters 26” drum sander. se components go the motor just might work – do they separate the stator magnets ? Maybe a motor number? a pic of the motor tab? Its a Klauber 118f100 DC motor. 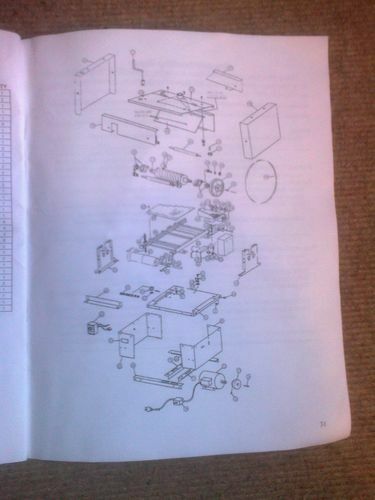 They must have thousands of these components but won’t send one to me – I was referred on to Woodmaster. Poor after sales service in this corporate world. That does not match any of the model #’s they have listed on their site, so it’s probably either an obsolete model, or one made specifically for Woodmaster. Individual parts for most all motors are usually difficult, if not impossible, to obtain individually, so I’m not surprised they recommend swapping the whole unit. However, those little clips do not look like anything that would typically be found on a motor. Does the motor still run? What exactly is wrong with the motor/machine? Can’t really tell much from the fuzzy pictures and vague description of the problem. As noted, you are not likely to find parts for motor. Find the motor at McMaster Carr or Grainger. May be cheaper than Woodmaster. You could always take it to the local motor shop and they will usually check it and give you an estimate if it needs repairs. Usually, if it’s a repair that they’re capable of doing much better than you, it’s cheaper to buy a new motor. the machine is only six years old so its unlikely to be obsolete ? I believe Klauber make these specifically for Woodmaster. I pulled to cover off and the armature remains attached to the gearbox. They are definitely ipart of the motor but i should have noted where they fit – my fault. I should say I’m across the pond in Ireland so no dealer will touch it here. I need to spend $500 to fix a $1 dollar problem ! Can you post a clearer picture and a picture with a look into the motor? Just trying to put these parts into scale/context. If they serve an electrical purpose (contact, spring, etc.) chances they are made from beryllium copper. 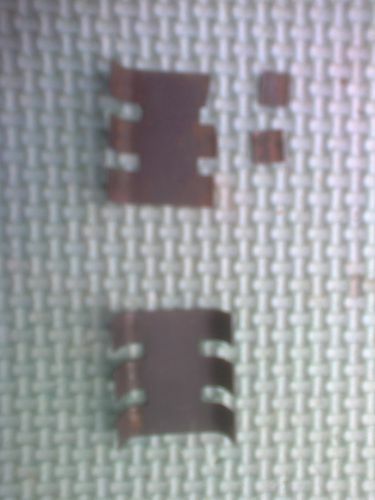 You could get some of this metal and use tin snips to make a replacement.